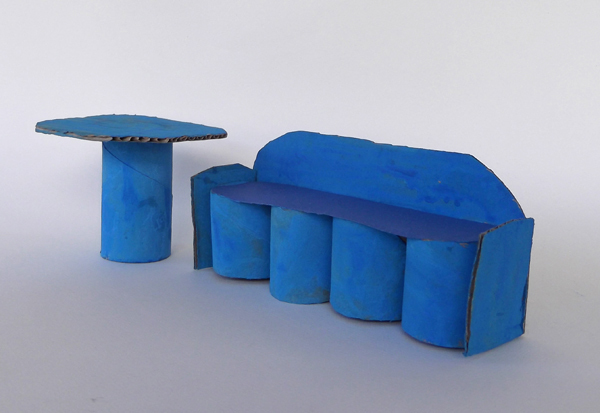 Make a comfortable sofa for the dollhouse using recycled materials. 1. 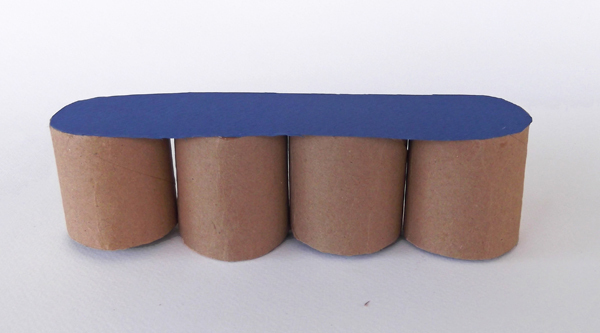 Cut the two toilet paper rolls in half to make four paper rings. 2. Cut a rectangular piece of colored paper and glue the paper rings, side by side, onto this paper. 3. With scissors cut the colored paper around the rings. 4. You've just made a bench. You need to add the arms and the back of the sofa. 5. 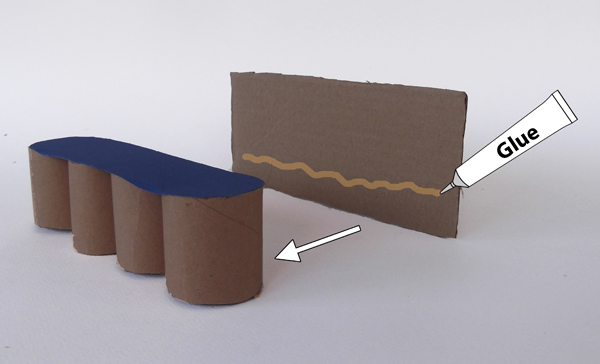 Cut a rectangular piece out of cardboard paper or hard colored paper. The length of the rectangle needs to be slightly larger that the length of the sofa. 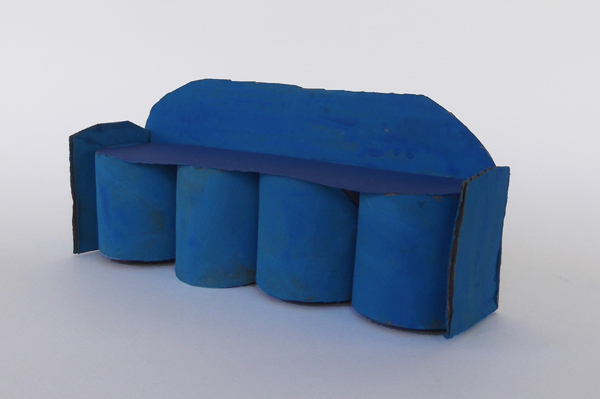 Glue the cardboard piece and the bench together. 5. 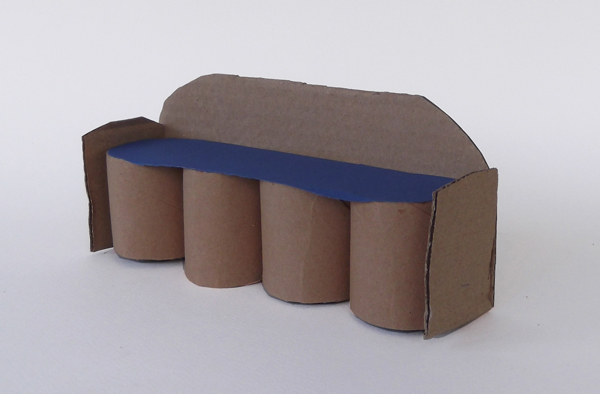 Cut out of cardboard paper or colored paper two rectangles to make the arms. Glue them onto the sofa. You can also make the corners of the back rounded. 6. Paint the sofa with watercolors.